Went out to one of our fields to move the donkeys electric fence – we keep them contained or as they will occasionally chase people out of the field (only if someone on the public footpath has a dog that runs ‘out of control’ around them – they have learnt by escorting (head down and push) the owner and the dog leaves 🙂 ). 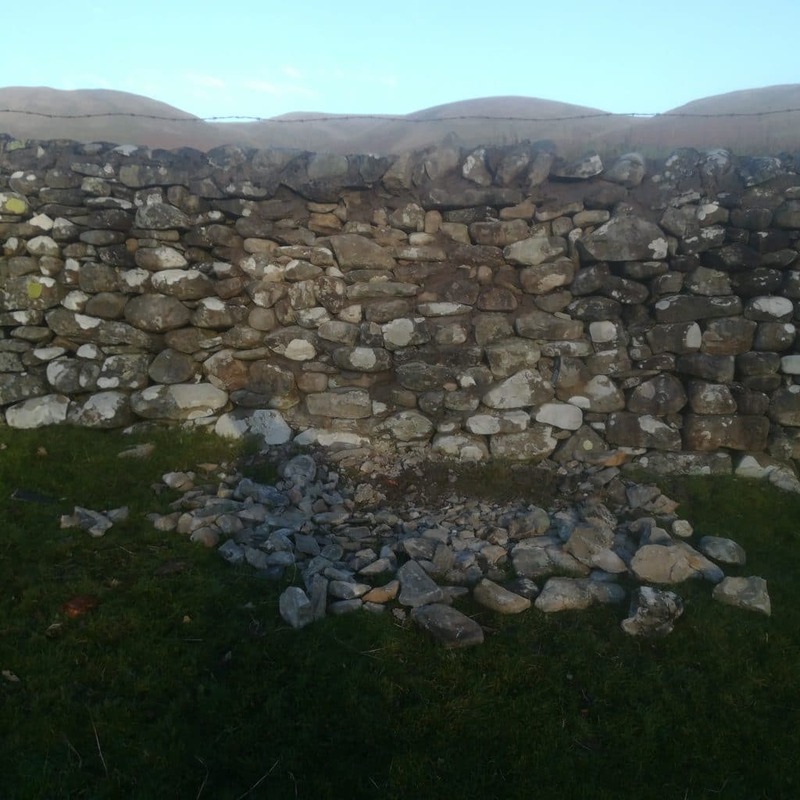 Unfortunately we found that the ‘dry-stone’ wall to the road has half collapsed (some of the outer section still there). 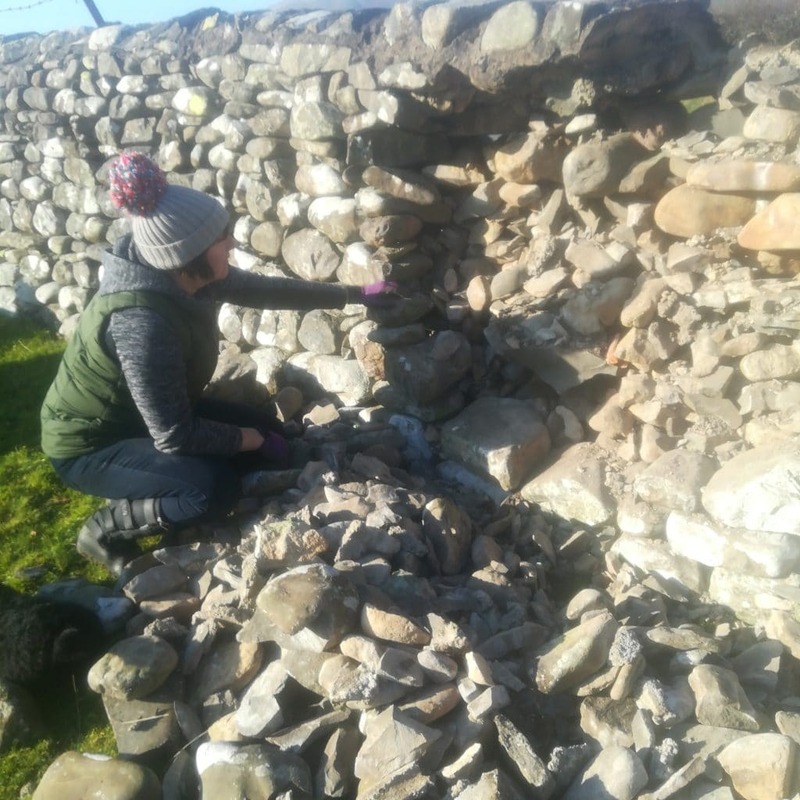 – I use dry-stone wall in quotes as the debris had a lot of concrete/mortar in it. As with most jobs – it would have been easier to build from scratch rather than repair – but its a long wall!! – we also resorted to the assistance of some lime mortar to cushion some of the more awkward shaped stones – but the end result looks good and seems (fingers crossed) stable again. A few bits left over of course (my packing in the wall was less i suspect – and the mortar will have displaced some as well.